I like it. Now all I need is a cooler to break and I'm all set. Nice. Your j00fu is strong. 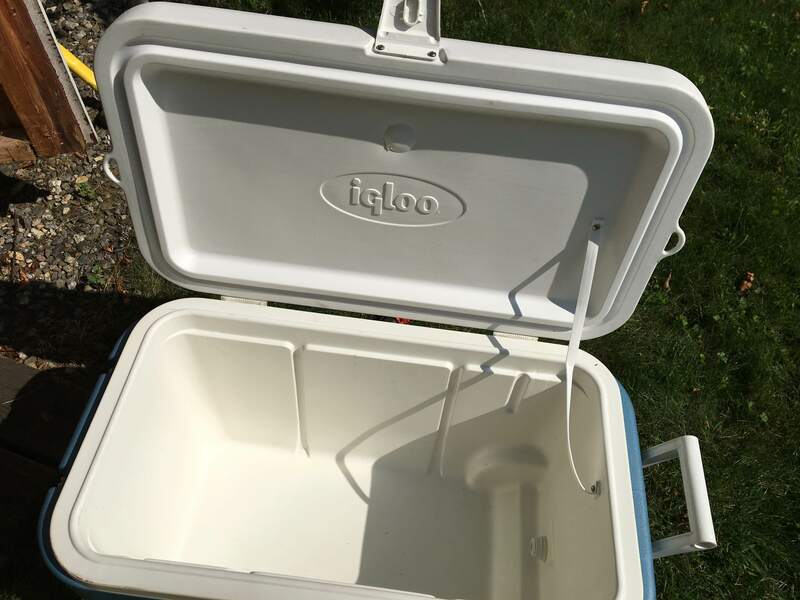 I built a cooler about 20 years ago from resin and expanding foam with a nearly airtight lid. 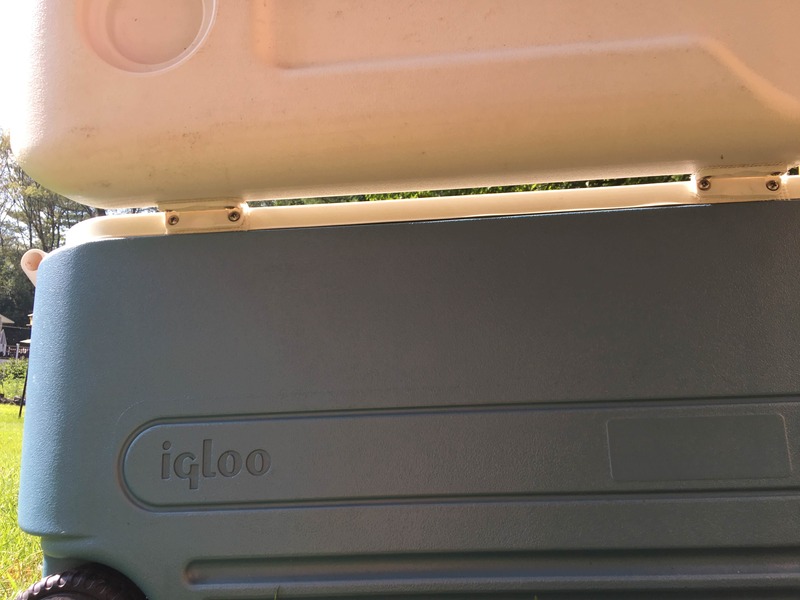 It was awesome and kept ice for an impractically long time but it was too goddamn heavy to move so I painted it black with a white 3 on the side and added wheels then sold it at a local racetrack for $150. 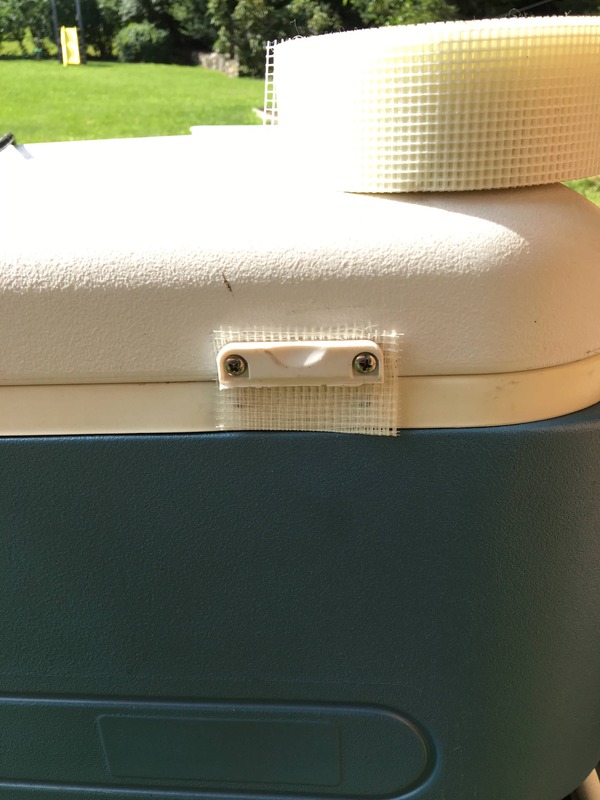 Now, I just buy the el cheapo coolers and ditch them when they wear out. 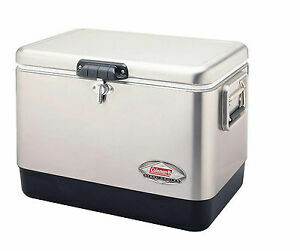 Coleman Extreme keeps ice several days and is cheap. I was at a party last week and they had a sign hanging in the cooler that said "BEND ME TO CLOSE!" 5Lb bag still had cubes today when we dumped it before heading home. nifty trick, cans on the bottom and then metal racks and then things on the racks....keeps them out of the melted water and still cold as the ice melts. Another trick. Cut a piece of that Styrofoam insulation board that has the foil on the side to fit snugly about half way down inside the cooler. Place it on top of the foof/drinks/ice before closing the lid. Weighs next to nothing and let's the ice only have to keep a small portion of the air inside cool. I'm fancy I have stainless steel coolers... with ss hinges. I have a Yeti, bought it after Blow Me Sandy storm. Three words: Canvas Fire Hose. I got mine with AirMiles the points thing they have in Canada... hmmm sheeeeet I have had it for damn near 20 years. Pneumatic clamps for laminating longbow and recurves. As long as they don't burst when you freeze them, most don't, but there is always an outlier. Still need to pack stuff as if you're using ice bags. Fill them almost full with the cap off. Take out of the freezer, screw on caps, place in cooler. The trouble is when you're damn thirsty and all the remaining are frozen. I don't keep empty water bottles so I don't refill them. If I open the top on a bottle of water and it seems like it's opened I won't drink it. You can freeze unopened bottles of water without them leaking, but there are always one or two that will. It's amazing what happens when they come out of the cooler. Planning is important, I assumed you of all people would know this. I get a frozen bottle in my cooler every day. I know how long it takes to melt if all the other bottles have been dranked already. A bottle of frozen Gatorade is even worse. You could take yesterdays bottle and refill it and carry it outside of the cooler? Add a little Vodka to keep it from freezing.